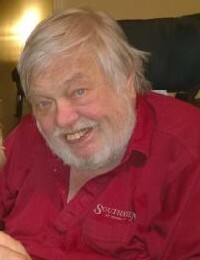 On Wednesday morning February 6, 2019, Robert "Ray" Adams, resident of Corinth, departed this life in the comfort of his home following an extended illness. Funeral Services celebrating the life of Ray will be at 3 PM Saturday February 9 at Pine Grove Baptist Church in Tippah County with his brothers, Bro. Paul Adams officiating and Dr. James Adams sharing memories. Burial will follow in Pine Grove Cemetery. Arrangements will be provided by The Ripley Funeral Home. Born February 29, 1948 in Memphis, TN, Ray was the son of the late Robert Marlin "Smiley" and Sarah Wallis Adams. He was a 1966 graduate of Pine Grove High School and continued his education in area vocational schools. In 1975, Ray moved to North Mississippi and was employed in the sales industry as part owner of the Southaven RV Company. A Baptist, Ray will be remembered for his love of bluegrass music. A talented musician, he played the upright bass alongside his dad and brothers in the "Adams Brothers Bluegrass Band". A larger than life person, Ray's physical limitations did not hinder his zest for life and the joys he shared with others. He leaves behind many memories to be cherished by his family and they find comfort in knowing they will meet again. Visitation will continue Saturday at Pine Grove Baptist Church from 12 noon until service time. Those left to honor his memory include his children, Shannon Carson of Southaven and Chris Adams (Lydia) of Strawberry Plains, TN, one sister, Glenda Pfister (Barry) of LaGrange, MO, three brothers, Tommy Adams of Ripley, Dr. James Adams of Memphis and Paul Adams (Tonya) of Dumas, nine grandchildren, three great grandchildren and his long time companion and caregiver, Garnette Wilemon of Corinth. The Ripley Funeral Home is honored to serve Ray's family and invites you to share memories.